 Copyright © by Extension Journal, Inc. Used by permission. Extension professionals can improve their use of social media as channels for extending programmatic efforts by maximizing target audience reach and engagement. 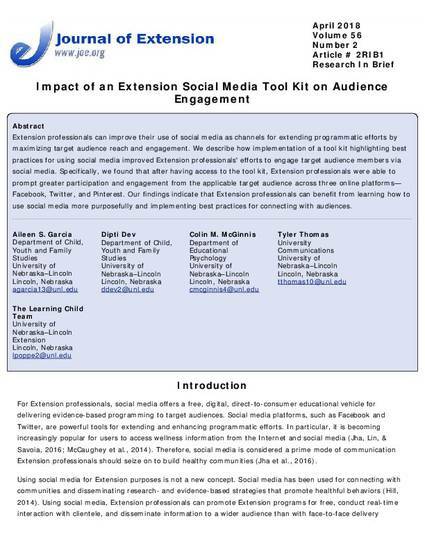 We describe how implementation of a tool kit highlighting best practices for using social media improved Extension professionals' efforts to engage target audience members via social media. Specifically, we found that after having access to the tool kit, Extension professionals were able to prompt greater participation and engagement from the applicable target audience across three online platforms— Facebook, Twitter, and Pinterest. Our findings indicate that Extension professionals can benefit from learning how to use social media more purposefully and implementing best practices for connecting with audiences.